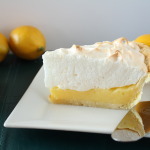 For Pie Day 2017, I want to share on my favorite pies, but a pie that has been elusive for me. I’ve attempted many a chocolate cream pie. Until this recipe, they were all disasters or semi disasters. 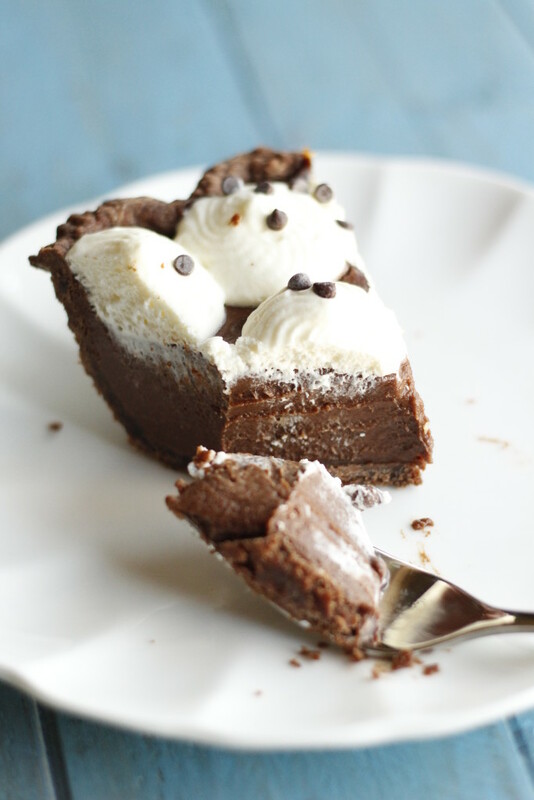 A perfect chocolate pie is creamy, full of chocolate flavor, AND it holds its shape when it is cut and served on the plate. 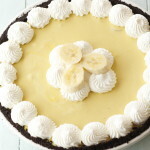 There are lots of chocolate cream pie recipes made with pudding. But that’s cheating, right? I like the thrill of making something from scratch, no packages involved. I’ve made all sort of pies that just ooze and spread as soon as they are removed from the rest of the pie. Like they are just too lazy to participate in being a pie. *I mean a lot, A LOT, of pies like that. 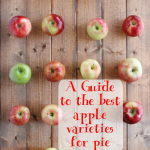 * So I was thrilled that this pie recipe hit all my requirements. Look at how well it is behaving. I made this pie with a chocolate crust, but it was pretty dang rich and I think I would go for a plain crust next time. If you want a chocolate explosion, then go with a chocolate crust. 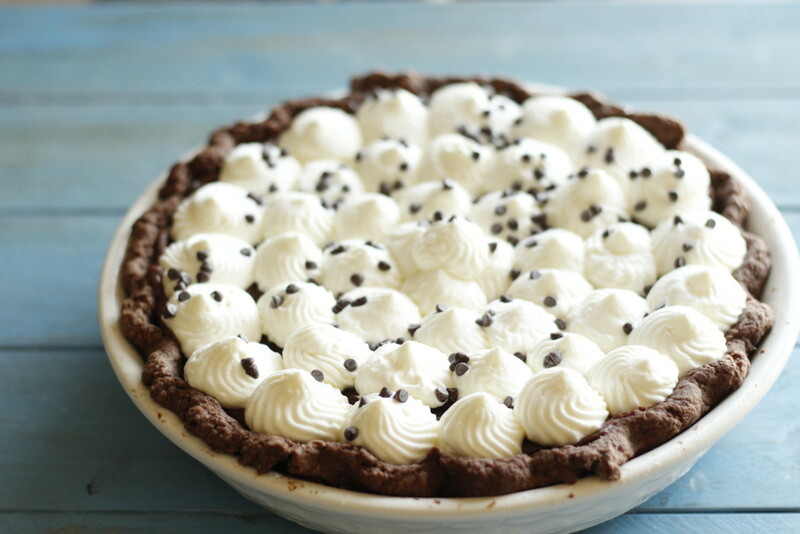 If you need a pie to try this pie day, maybe the chocolate cream pie is your friend. Blind bake your crust according to instructions in a 9 inch pie pan, that's at least 2" deep. Place the chocolate, butter and vanilla extract in a heat proof bowl, Place a strainer on top of this bowl. Set aside. In a medium sauce pan, whisk together the sugar, cornstarch and cocoa. 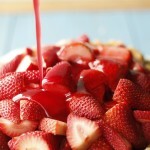 Whisk in 1/4 cup heavy cream until the mixture is smooth with no lumps. Add another 1/4 cup of cream and whisk. Whisk in the egg yolks. Place the sauce pan over medium heat and continually whisk. Gradually add the remaining cream and milk. Bring to to a boil, continuing to whisk constantly. Boil for 1 minute. Remove from heat and pour the mixture through the strainer and into the bowl with chocolate chips and butter. Stir until the chocolate is melted and the mixture is smooth. Place a piece of plastic wrap directly on the surface of the filling to prevent a skin from forming. Chill thoroughly. 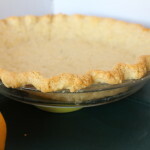 Transfer the cooled filling to a cooled pie crust. Smooth with a spoon or offset spatula. Whip 1 cup whipping cream with powdered sugar and vanilla extract to a medium to stiff peak. Spoon or pipe whipped cream over pie and garnish with mini chocolate chips or chocolate shavings. The sugar isn’t listed in any of the steps.